NEWARK, New Jersey -- Six adults are under arrest after they allegedly created a house of horrors for a three-year-old boy who was regularly beaten and scalded. 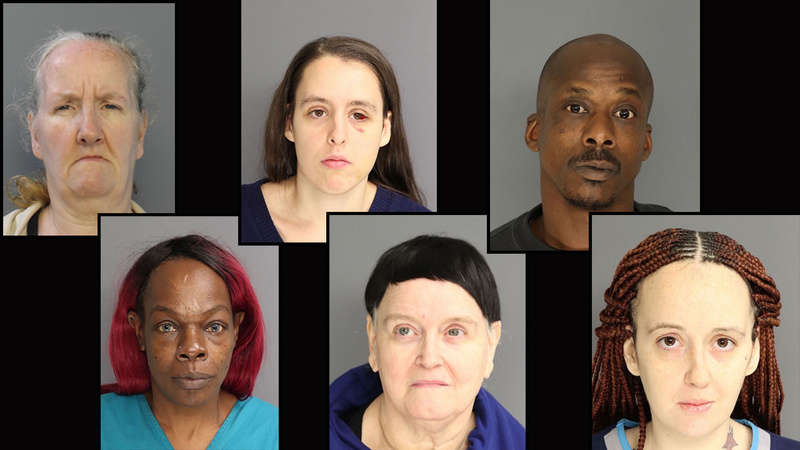 All six of the suspects lived in Newark in the same house with six children. The little boy was apparently the only victim of the terrifying abuse. The other children were said to be in good condition. The condition of the little boy is not yet known, but he did survive the abuse. The family often used the food pantry across the street where workers say they were shocked to hear the painful allegations. "No, we had no idea of what was going on," the worker said. "Sometimes they would bring the kids and whatever the case, and go back. Because we just service the community, we know they live there. So when the kids are out and we have little snacks and stuff, we give the kids something extra, but other than that we haven't seen anything." The six children have all been turned over to Children's Services. All six adults are currently being held at the Essex County Correctional Facility in Newark.